I just started to enter a few competitions on other peoples blogs. As I’m unlucky as I can not remember the last time I ever won anything so I decided to stop. 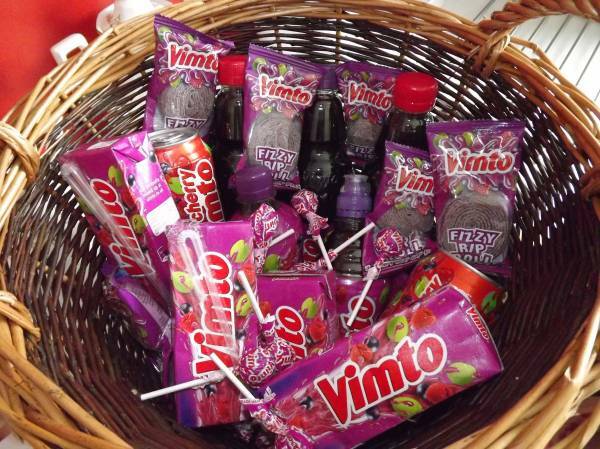 To my surprise I got a twitter message from @missmamo saying I had won a Vimto hamper prize on her blog and could not believe my luck!! My Hamper came on Monday and I was so surprised how great it was! When I saw the big TNT van pull up and the man struggled with my big parcel it was like being a kid at Christmas again. I could not wait to see what was inside the box. 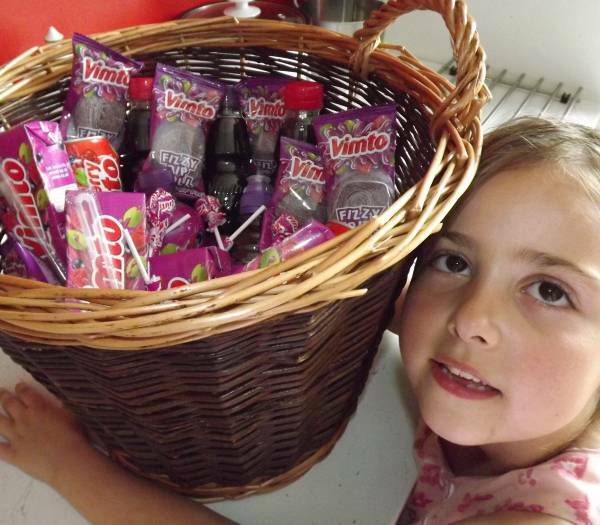 Some how my kids have started liking this blog thingy I do and my daughter could not take her eyes of my prize she says she loves it giving it a big cuddle. Now off to enter some more great competitions on some blogs!! Have you won anything on any ones blog? Haha, love it! She's a cutie. Yes, when I win things off blogs, I feel like I've hit the jackpot! That's why I started doing giveaways myself! 🙂 Glad you liked it…Oh and it had sweets in! I'm well jealous now! I've won a few bits and bobs on other blogs like DVDs and books but nothing like vouchers and stuff. Look out for loads more competitions coming in the run up to my 1st blogoversary in August! I have only enter two giveaways and I won one but I never got the price from the blogger so I stop entering them. Maybe now I should try again.By the way congratulations!